KAYCOS is a youth led cooperative/ hub formed by youth beneficiaries of the EAYIP at Kilolo District aimed at improving the livelihood of its member through agribusiness and providing different services as per members need. To end hunger and poverty by increasing income among youth and community member. The hub act as one stop shop intended to provide employment opportunities to the youth through providing linkage to the market, and provision of other services as will be required by the members. Reports To: -KAYCOS Cooperative/ hub Board. • Manage and coordinate day to day running of the hub to include business operations. • Work with the hub board to develop and implement 5 years strategic plans as well as advice board members on hub business growth and expansion. • Coordinate and mobilize youth to participate in hub activities such as market day, exhibitions, Annual General Meeting, etc. • Network and coordinate with other stakeholders such as government, NGOs, financial institutions, Insurance companies, markets, processors, media, etc. • Map and link hub / cooperative to the local and external markets business opportunities that the hub can participate in. • Responsible quality of product and service offered by hub to member and stakeholders. • Organize business platforms and forums at hub /cooperative level such private sectors engagements, exhibitions, farmer field days, campaigns, etc. • Advice board on all regulatory compliance at hub such as audit, certification of products by Tanzania Bureau of Standard(TBS)/Tanzania Food and Drug Authority(TFDA), etc. • Participate in stakeholder meetings on behalf of the cooperative/hub in relevant professional organization. • Advice the board on the new business opportunities and innovations as per hub / cooperative constitution. • Ensure all client / stakeholders/ value chain actors work with cooperative/ hub sign hub child and youth protection policy. • Work closely with Local Government Authority at District level as key stakeholders and maintain good relation will all potential stakeholder. • Bachelor’s degree on Cooperative, Agriculture Economics and Agribusiness from reputable institutions. • At least 3 years working experience on Management especially in Agriculture project. • Practical experience of working with cooperative will be added advantage. • Strong knowledge on cooperative issues and cooperative management and principal of Tanzania. • Ability to work with youth and people of different culture and Race. • Strong knowledge and experience to develop and implement business strategy, plan in innovative way. • Excellent English and Kiswahili language skills. • Good report writing and communication skills. • Applicants from southern highlands are highly encouraged to apply. Reports To: -MUYACOS Cooperative/ hub Board. Reports To: MUYACOS hub manager. numbers and paying attention to detail. 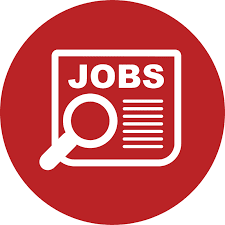 • Work with external auditor for hub/auditing activity as per cooperative act of Tanzania. Preparing financial statements and reporting are a large part of the hub/cooperative accountant’s dayto-day work. The ideal candidate must be well-versed in accounting principles and able to work with numbers and paying attention to detail.